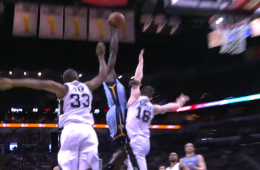 Jeff Green claims another soul with a vicious poster jam. 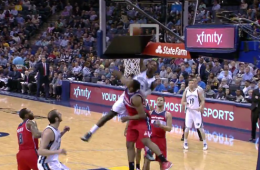 When Memphis Grizzlies forward Jeff Green has a head of steam, it always best to get out of his way. 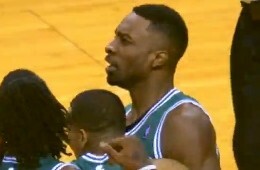 Each year you can always count on Boston Celtics forward Jeff Green for a poster dunk. 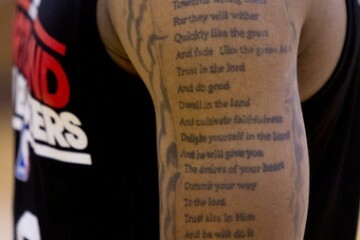 And the Thunder traded him away for Kendrick Perkins. 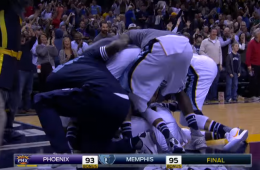 Freakin' Kendrick Perkins! 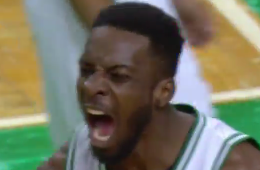 It's been a pretty good weekend for Jeff Green. Early nominees for the Dunk of the Year.